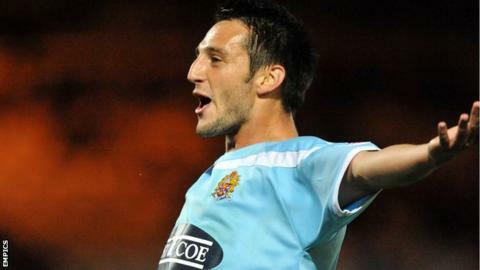 Luke Howell's second-half strike earned Dagenham their first ever win over promotion-chasing Cheltenham. Midfielder Howell rifled into the top corner to end his side's run of three matches without a win. They should have doubled the lead, but Scott Brown saved Sam Williams' penalty, awarded for Steve Elliott's foul on Matthew Saunders. Robins midfielder Darren Carter had a chance to draw Cheltenham level, but shot wide of the post. "It was a really poor performance from start to finish. I can't remember us creating any chances and gave our supporters nothing to cheer about. "They won too many battles all over the pitch. It was only 1-0 but it could have been a couple more. "Scott Brown made a great save from the start in the first half with a header, he made the penalty save and he's not had much to do but we haven't given him enough protection. "We got to learn from this quickly, get better from it quickly and make sure we don't perform anywhere near like today on Tuesday night."